I have a love-hate relationship with Watsons. I love it because of the oodles of stuff I can get at low prices, but I hate it because of the oodles of stuff I can get at low prices! 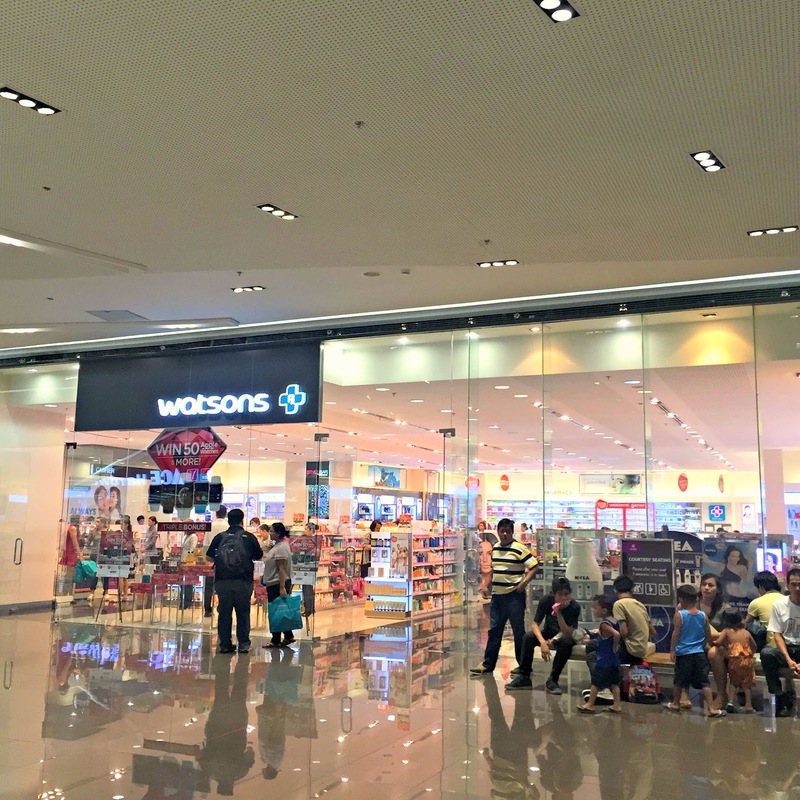 Next to bookstores, it is my favorite store to visit whenever I’m in the mall and I never leave without picking up anything – be it a pack of cotton pads, a new bottle of nail polish, or a new tube of lipstick. 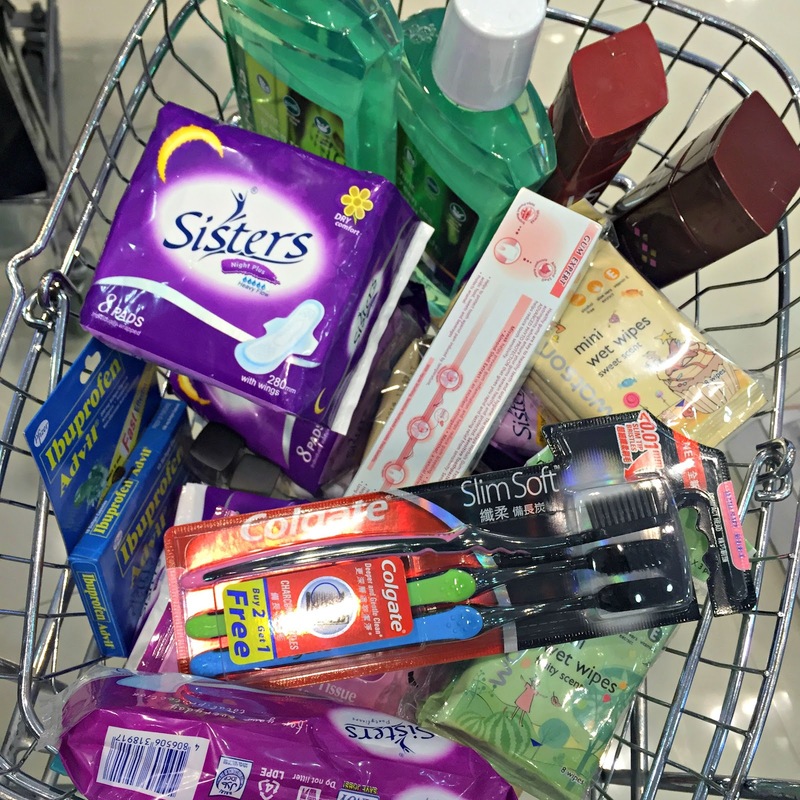 I love the extensive range of brands for all price points it carries, as well as the ever reliable Watsons Label that has replaced most of the personal care items I use! Watsons also regularly holds promos that let you win amazing prices just by shopping there! 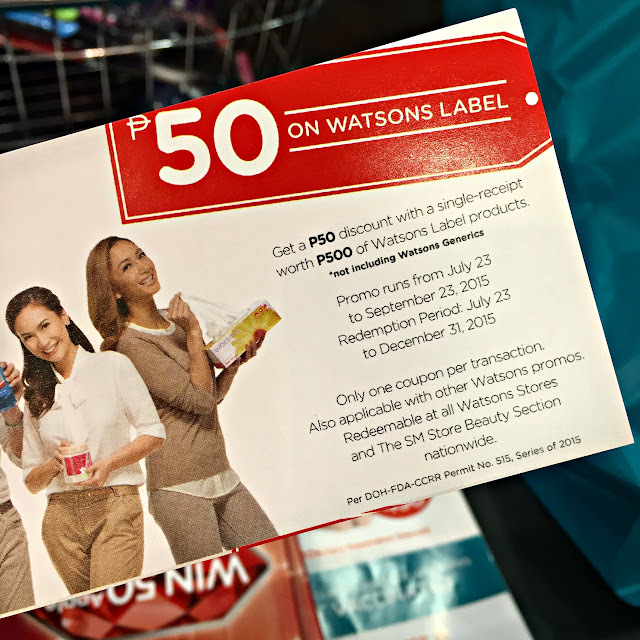 Every P500 single receipt purchase from Watsons or The SM Store Beauty Section from Aug. 27 to Sept 27, inclusive of any of the participating brands entitles the customer to join the e-raffle upon registration and texting of entry. Minimum Php 1000 single receipt purchase from Watsons or The SM Store Beauty Section from Aug. 27 to September 27, 2015, inclusive of any of the participating brands also entitles the customer to get P100 cash coupon which can be redeemed at the Watsons and the SM Store Beauty Section Staff. Customer must present the claim stub that is printed together with the Official Receipt to redeem the cash coupon. You may click here to find out more details on how you can register for this promo. Awesome, yes? I mean, whose heart wouldn’t beat fast at seeing aisles and aisles of great deals and discounts? And whose heart wouldn’t beat fast at the prospect of cashbacks? 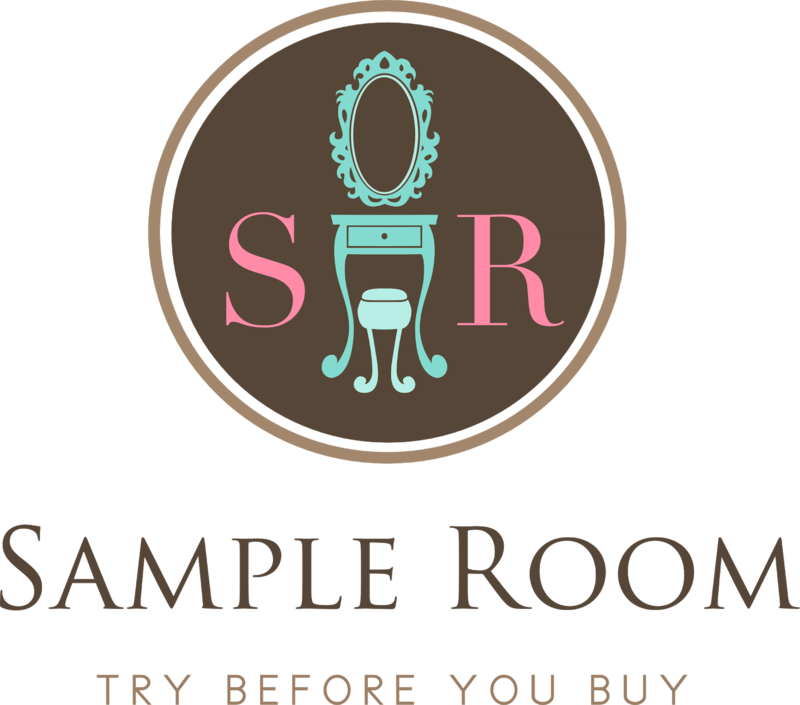 It’s like they’re rewarding you as you shop! 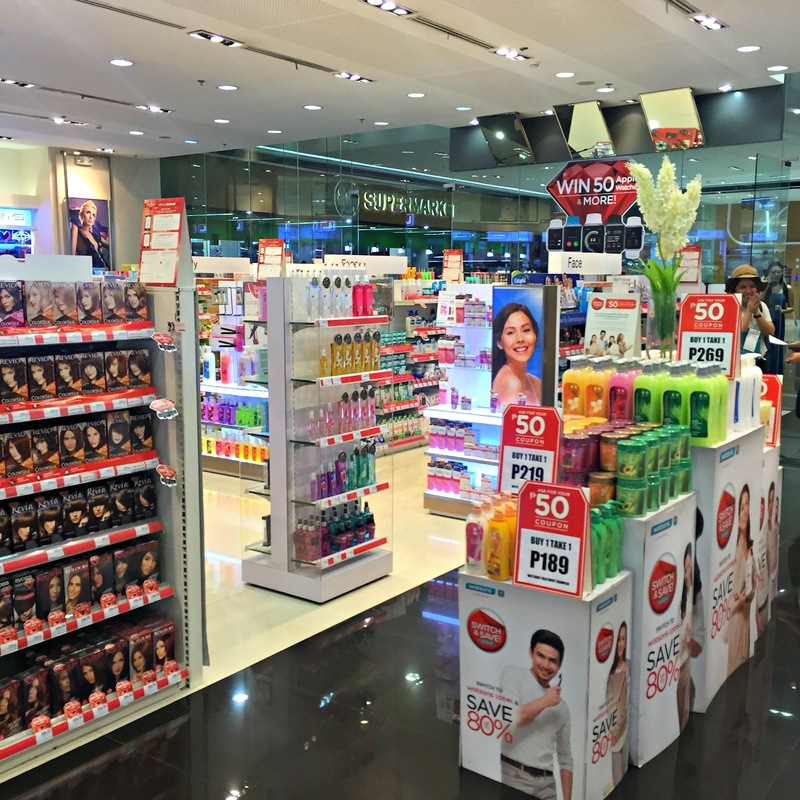 It’s awesome to see how far Watsons Switch & Save has come and how many products they have added to their roster ever since they launched it three years ago. 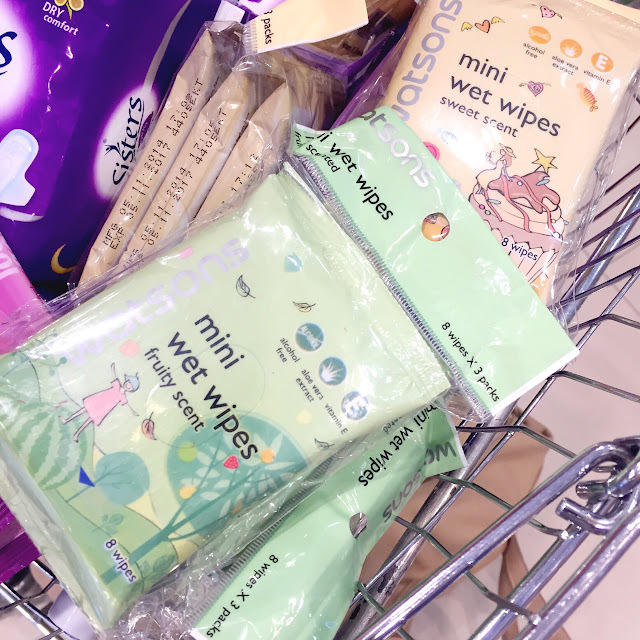 I went crazy with these Watsons Label Mini Wet Wipes. They cost P49 each but a pack of two costs P89 only! … but I just couldn't not include pretty little things that make ME happy! 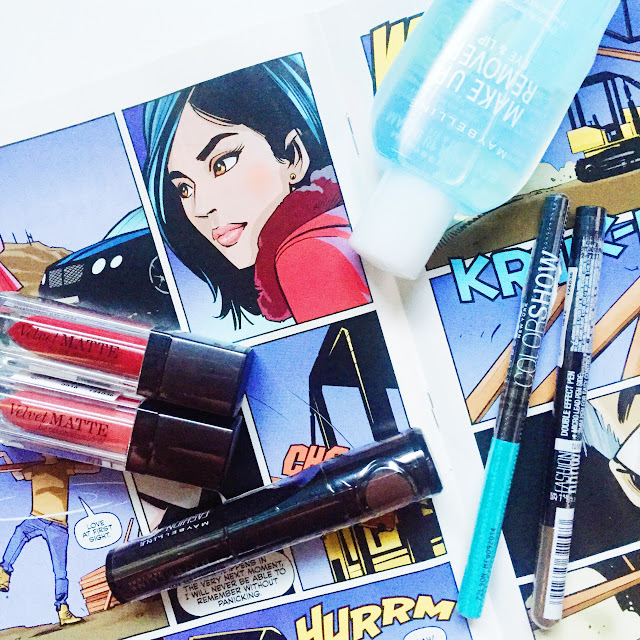 Here's my mini Maybelline haul: Velvet Matte lippies by Color Sensational in Mat 11 and Mat 12 (2 for P499), Fashion Brow Duo Pen (P299 only from original price of P399), Color Show Liner in Metallic Turquoise (P199), Fashion Brow 24H Color Matcher in Dark Brown (P249 from original price of P359), and Lip & Eye Makeup Remover (P199)! Shown here with our first glimpse of Veronica Lodge from Archie Comics number 2 because she's fabulous. 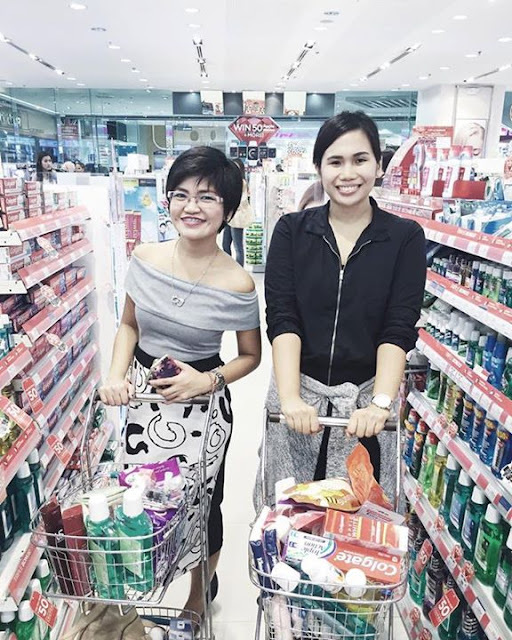 I had a great time shopping with my blogger sister Ana! 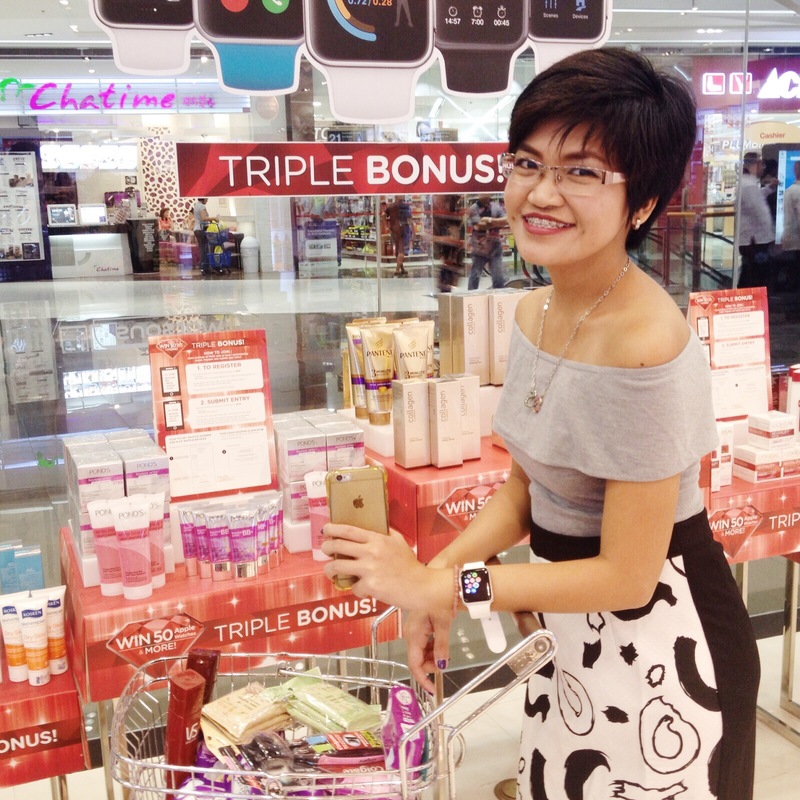 Now I’m off to join the Triple Bonus Promo because I want to win more shopping gift certificates for when I shop again at Watsons to restock my stash! 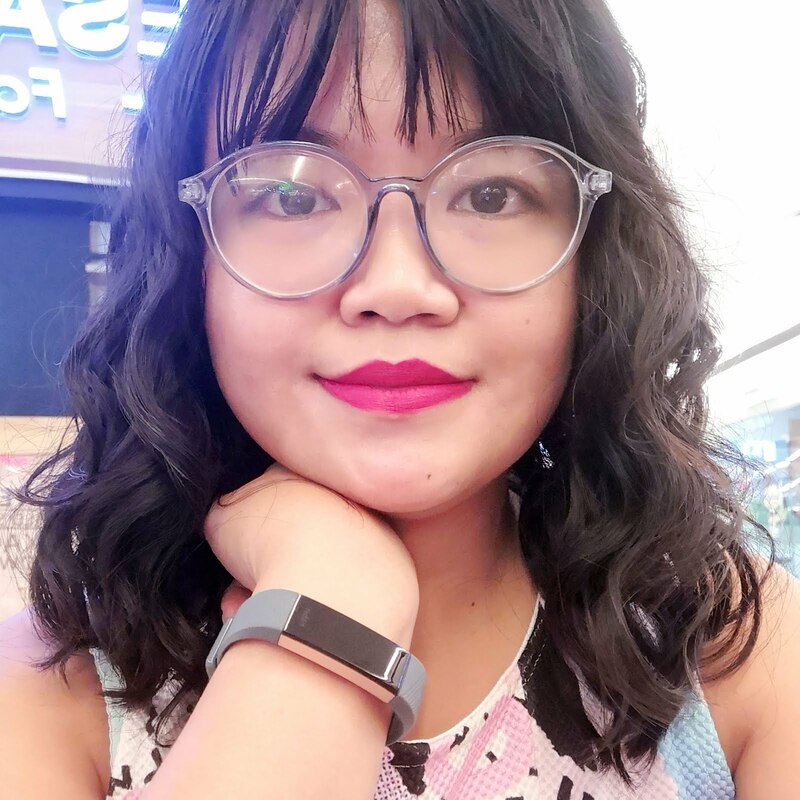 Disclosure: This is a sponsored post but all opinions are my own. 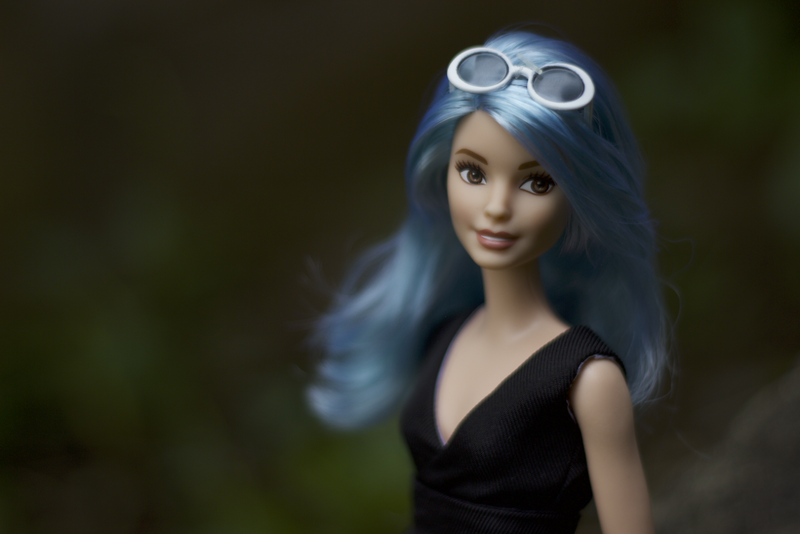 Read my blog’s complete Disclosure Policy here.